First and foremost, Ai Weiwei: Yours Truly is a film about people—starting with the brave individuals who inspired an outpouring of support from visitors to the exhibition on Alcatraz Island, and the artist whose vision made it possible. 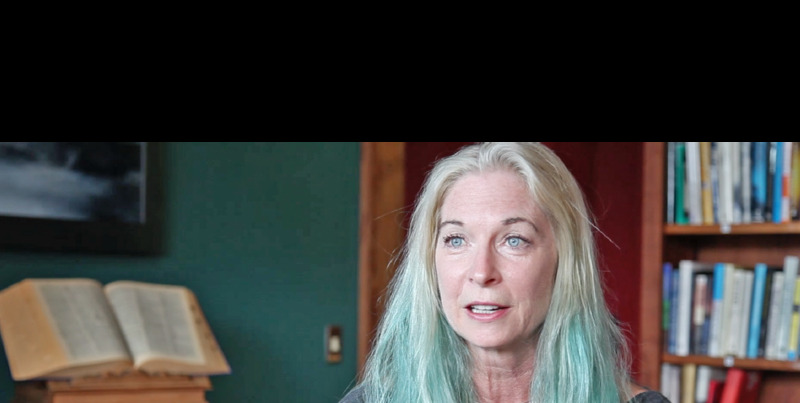 Several of these former prisoners of conscience are highlighted in the film, offering viewers insights into the beliefs that sustain them and the inordinate challenges they have faced for upholding the value of human rights. In candid and moving interviews, John Kiriakou (U.S.), Ahmed Maher (Egypt), the family of Ebrahim Sharif Al Sayed (Bahrain), and others share their stories and reflect on the postcards from Yours Truly as a source of strength, while visitors to the exhibition on Alcatraz discuss the feelings of empathy and possibility that arose as they penned postcards to prisoners whose stories they had only just discovered. Ai Weiwei is among the world’s most celebrated contemporary artists and an outspoken critic of injustice, both in China and abroad. An ardent human rights activist, Ai was arrested by Chinese authorities on April 3, 2011, and held incommunicado for eighty-one days. For over four years following his release, he was prohibited from traveling abroad and subjected to ongoing government surveillance. Having relocated to Berlin, Ai continues to extend his practice across multiple disciplines, using exhibitions and social media to communicate with a global public. His latest project, the celebrated documentary film Human Flow, addresses the plight of refugees worldwide. Sharif is a Bahraini politician, businessman, and former Secretary-General of the now-disbanded National Democratic Action Society, a secular, moderate, and peaceful political opposition group advocating for governmental reform. After giving a speech in which he discussed these issues, Sharif was charged with “incitement to overthrow the regime” and imprisoned in Bahrain’s Jaw Prison from March 2011 to June 2015. An appeals court upheld his sentence, despite determining that the evidence used against him was extracted through torture. Sharif’s wife and children visited the exhibition on Alcatraz and sat for interviews about the personal impact of Sharif’s incarceration and the inspiration they gained from Ai Weiwei’s exhibition. Activist and civil engineer Ahmed Maher is a cofounder of Egypt’s April 6 Youth Movement, which spearheaded the demonstrations that ultimately led to the overthrowing of President Mubarak’s government in February 2011. In November 2013, Egypt adopted a new “Protest Law” designed to severely restrict freedom of assembly. Maher was among the first to be charged with breaching the law in a protest against it. On December 22, 2013, he was sentenced to three years in prison and fined fifty thousand Egyptian pounds. In 2011, Maher was nominated for a Nobel Peace Prize for his work toward democratic reform. 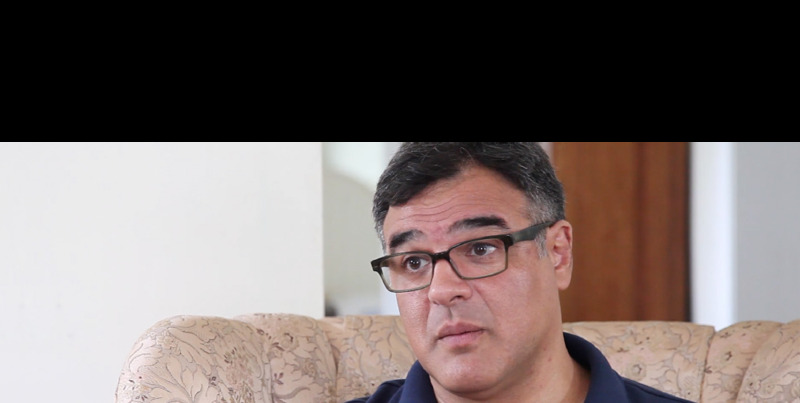 John Kiriakou is an associate fellow with the Washington, D.C. think tank Institute for Policy Studies and an acclaimed author and public speaker, writing and lecturing on topics that include the war on terror, surveillance, and the prison system. A former CIA officer, Kiriakou was imprisoned for revealing information about the U.S. intelligence community’s use of torture. In 2007, Kiriakou appeared on ABC News, becoming the first CIA officer to confirm that the CIA had used waterboarding on detainees—a tactic he described as “torture.” Kiriakou’s interview revealed that this practice was official U.S. policy, approved at the highest levels of the government. As a result, Kiriakou was sentenced to 30 months in a state penitentiary. Born in 1933, Ai Weiwei’s mother, Gao Ying, spent her youth working in the famed writer Lu Xun’s literary work group. In 1955, she became a staff member at the China Writer’s Association; she married Ai Weiwei’s father, the famed poet Ai Qing, the following year. Just two years later, when her husband was persecuted for being a Rightist, she and her children, including then one-year old Ai Weiwei, were exiled to the Chinese hinterlands, where they were forced to live in deplorable conditions for the next twenty-one years. Here she speaks for the first time about the family’s period in exile and its effect on Ai Weiwei during his formative years. Director Cheryl Haines is the founding executive director of the FOR-SITE Foundation and principal of Haines Gallery. She was the curator of @Large: Ai Weiwei on Alcatraz. For over thirty years, Haines has developed exhibitions and site-specific public programs that have exposed new audiences to contemporary art and advanced the discourse on art about place. Haines’ dynamic curatorial stance presents challenging and provocative exhibitions by artists who explore cultural and environmental issues through a wide range of media, as well as public, site-specific commissions on a national scale.